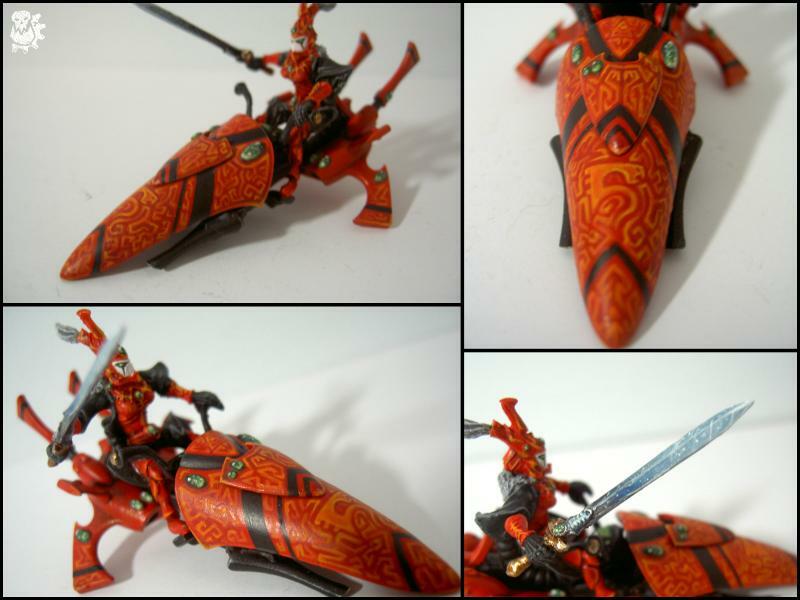 A Saim-Hann Farseer on a jetbike. A commission for a buddy at my LGS. The runes were pure freehand. The model (not converted/built by me) is from Chapterhouse Studios. Working on an accompanying jetbike Seer Council as well. A large portion of this guy was greenstuffed, such as the cowl, coat and body. The legs were cast from a Nob. To get a solid core and a good base to start off of, the torso was made by green-stuffing around a normal boy torso. The head is from the AOBR Warboss and the Power Klaw is a Nob big choppa part. 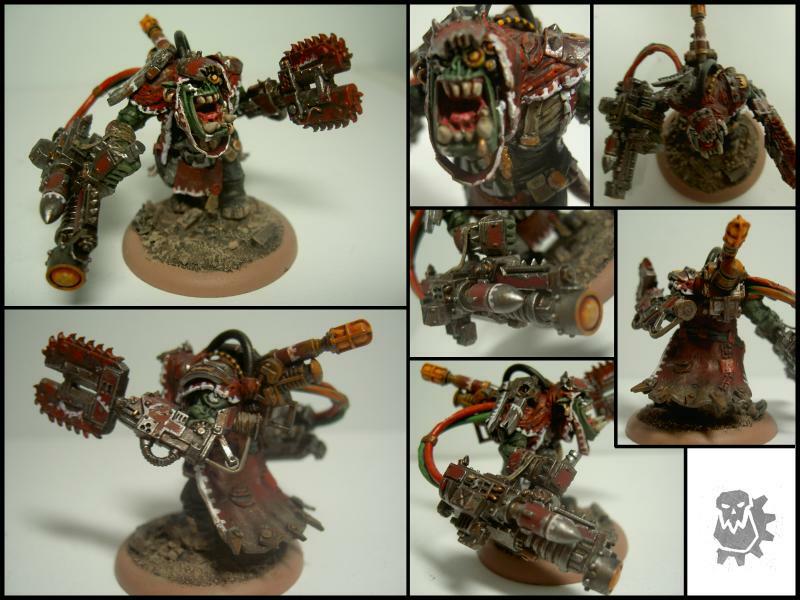 His gun was actually made from a IG Weapon Team Lascannon and a few other orky bitz. Had a few old headphones lying around and chopped up some cord to get some easy wiring for him. Definitely one of the most fun models I've worked on.